Loki's children. 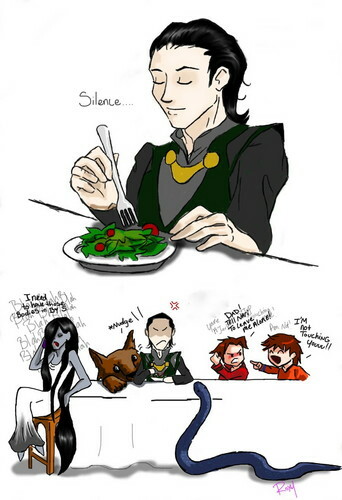 loki and his kids. HD Wallpaper and background images in the Loki (Thor 2011) club tagged: loki marvel fanart image. Vali: Dad! tell Nari to leave me alone! Nari: I'm not touching you!